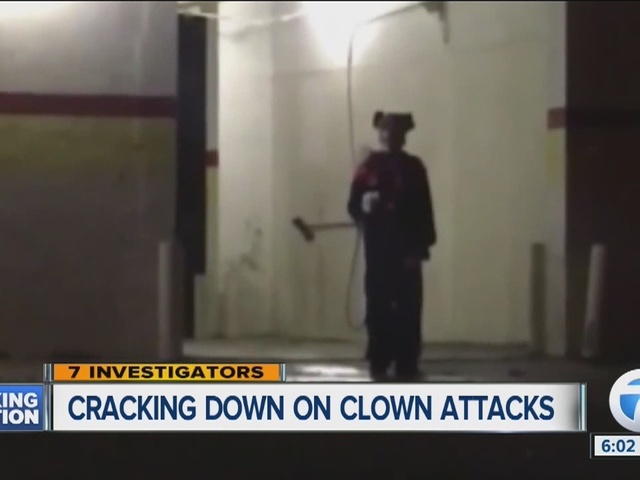 Police investigating rash of crimes committed by clowns. The new and growing creepy clown fad won’t be tolerated in Michigan’s largest city. This is the month of Halloween and pranks with costumes, but the message is don’t clown around in Detroit. Clown suits have been used in armed robberies, assaults and to just scare people. 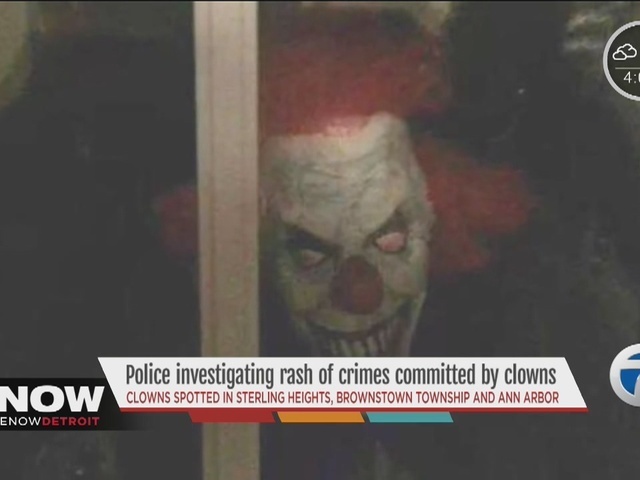 Yesterday, a 9-year-old boy claimed he was assaulted by a man wearing a clown suit in Sterling Heights. Police there also confirm they were called by 2 women at 17 and Ryan being chased by 3 people wearing clown suits and carrying baseball bats. Then in Brownstown Township there was an armed robbery of a Walgreens, by a clown and 2 more armed robberies of a gas station and pizza parlor by clowns. The chief says every call they get will get a response and be reviewed on a case-by-case basis. His advice: don’t clown around with us.